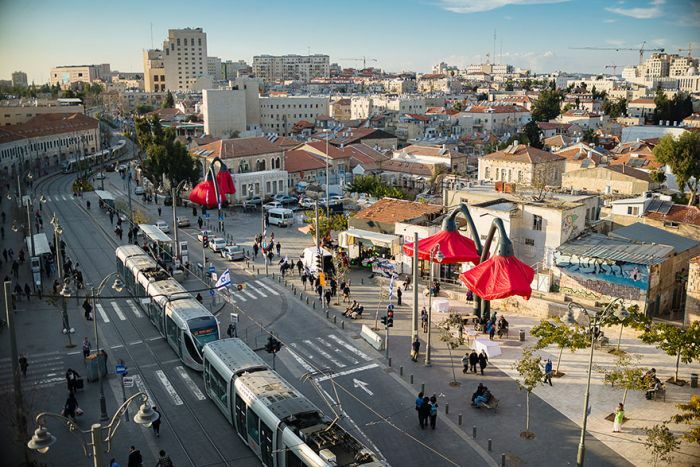 Last year this art display titled "Warde" was installed in Jerusalem's Vallero Square. 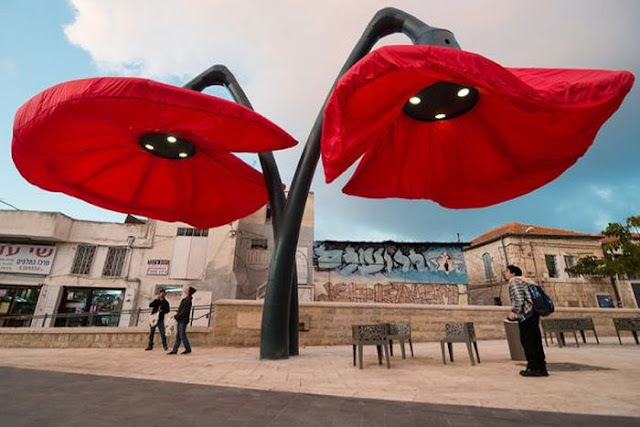 The giant flowers were setup as a way to lighten up the local space and make it look brighter. 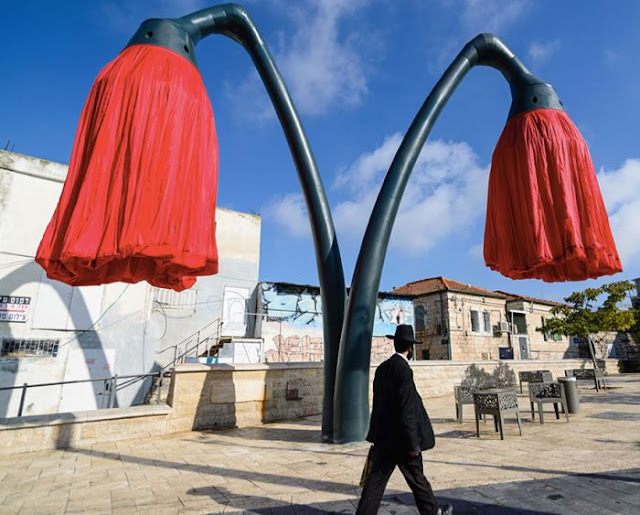 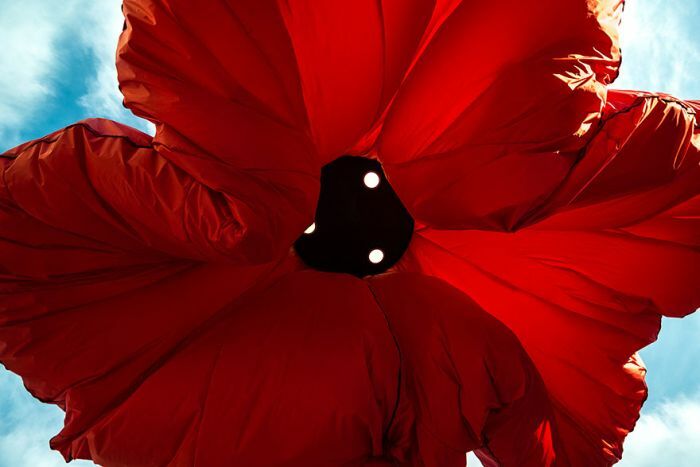 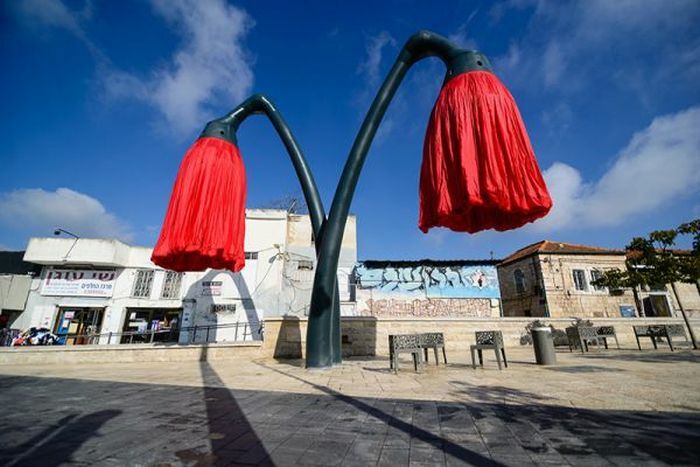 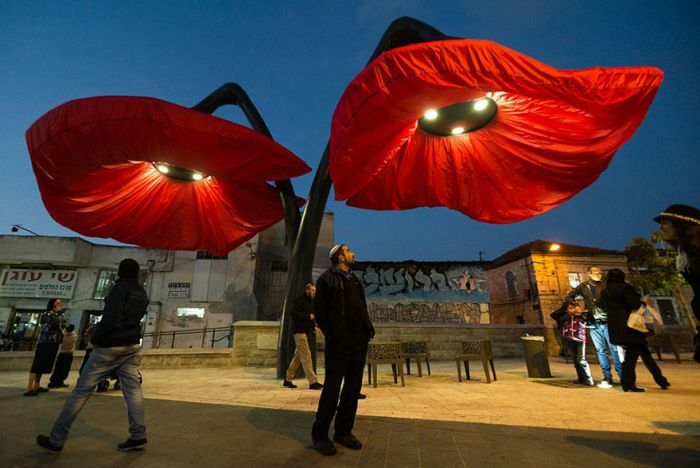 0 responses to "Self Inflating Giant Flowers Installed In The Streets Of Jerusalem (7 pics)"